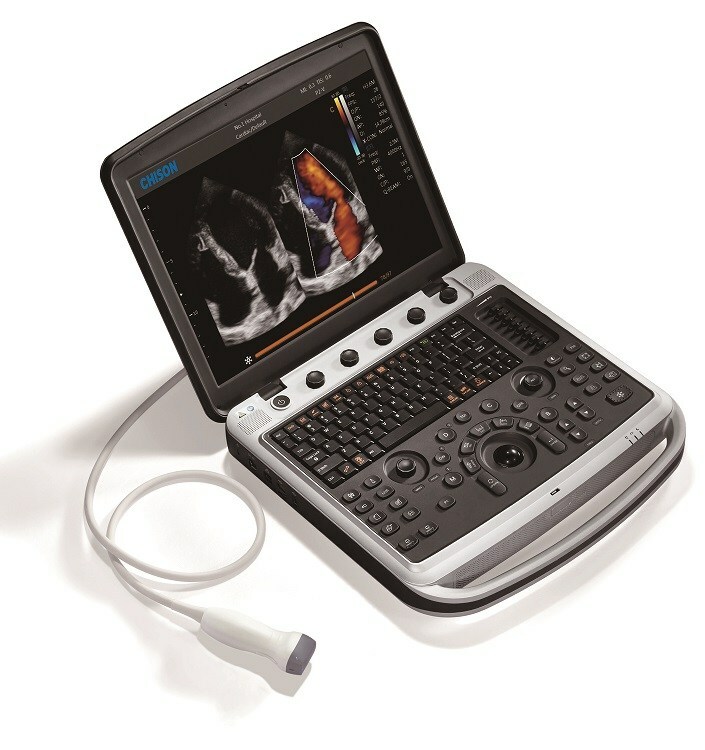 The New Chison SonoBook 9 laptop-style ultrasound machine is Chison’s most advanced portable cardiovascular ultrasound machine. Its most notable breakthroughs are with advanced cardiac and vascular imaging, however, the SonoBook also operates as a very good shared service portable ultrasound. At its release in 2017, the new SonoBook 9 became the most versatile and most affordable high-end portable ultrasound machine. Its most notable qualities are image quality, speed, and price. Image quality for cardiology ranks among the best portable ultrasounds out there, and it includes stress echo, IMT, structured reports, and among the highest frame rates seen on any portable cardiovascular ultrasound machine. With an internal Solid State hard drive, the SonoBook portable ultrasound machine is among the fastest machines we tested. Saving loops, changing modes, adjusting image quality, exporting, etc, are all nearly instantaneous, with almost no lag saving long cine clips (prospective and retrospective).